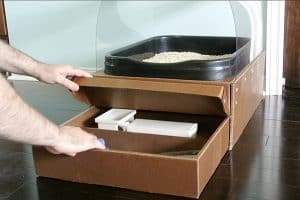 A clever new litterbox that eliminates virtually all of the problems cat owners face when dealing with traditional kitty litter has just been launched on the crowdfunding site Kickstarter. 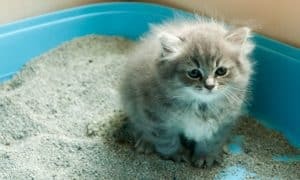 Called The Cat’s Ask, it gets rid of the smelly, dusty and wasteful mess associated with traditional litter and replaces it with an eco-friendly, 100% natural, clean, dust-free and inexpensive alternative: simple bird seed. 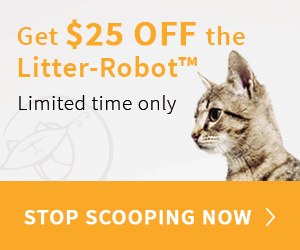 We decided to do this project because we ended up rescuing two pairs of feral kittens during a two-year period… and with 4 cats, the litter situation was a complete disaster, no matter how meticulously we cleaned the boxes! We weren’t happy with any of the other methods we found, so we decided to develop our own system. Three years later, we’re funding on Kickstarter so we can manufacture ethically in North America and maintain control of our company. How does it work? The pee filters through a grate and into a collection container, poop is scooped, and both are flushed. The seeds last a month or more, just 1 4-lb bag, and are readily available. The Cat’s Ask will also be selling seeds through their online store once they’re up and running… the first boxes will ship in April. 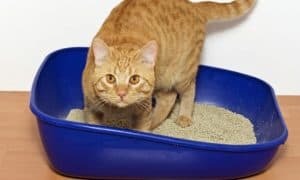 The litter box itself is partly made of waterproof and sturdy waxed cardboard, and contains a storage drawer for scoop, spray bottle, broom and dustpan, and extra seeds. 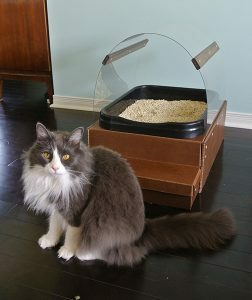 Visit www.thecatsask.com to learn more, view testimonials, and see The Cat’s Ask in action. The Cat’s Ask manufactured 20 advanced prototypes, mostly using the final moulds and the same manufacturing methods they will be using once they’re funded, so they’re ready to start making these… once they get the support needed! Are you ready to help – and try The Cat’s Ask for yourself at an introductory price? 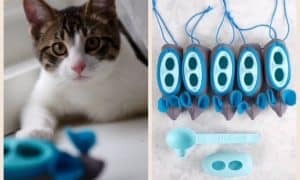 The World’s First Indoor Hunting System for Cats! That sounds like a great idea! I would be interested.